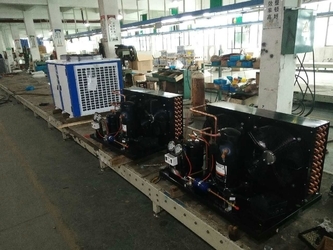 We , Guangzhou Xiangbingyue Refrigeration Equipment Co., Ltd is one of branches of Zhejiang Gaoxiang Industry Trading Co., Ltd and Zhejiang Gaoxiang Industry Trading Co., Ltd established in 1990 , is a comprehensive industrial company specializing in research , development , production and sale of specialized refrigeration products and components . Acting upon its enterprise morale – ‘ striving , contemplating , surpassing ’ , The quality guideline implemented consistently by Gaoxiang goes as ‘ thriving on high quality , prospering with customer satisfaction ’ . Follow the guideline , Gaoxiang commits itself to offer high quality refrigeration products to it ’ s customers . 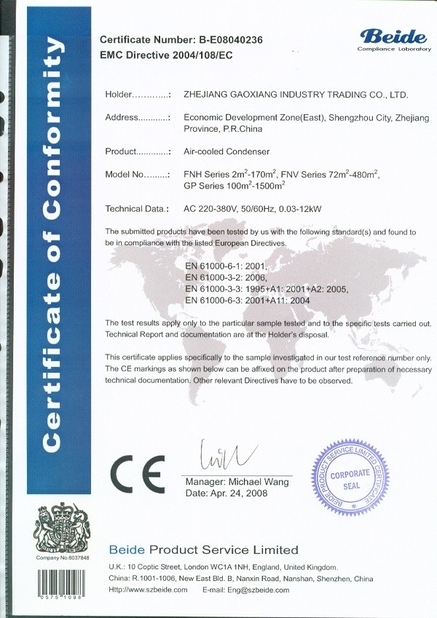 In addition to ISO9001-2008 certification, the condensing units accord with the GB / T21363 - 2008 standard , and gain the manufacturing license of refrigeration equipment , condensers and evaporators achieve the standard of GB / T25129 - 2010 , Also pass the CE certification . 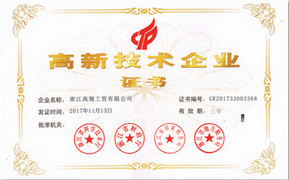 Products won the wide recognition and trust , and become the designated agricultural machinery promotional products of national ministry of agriculture , and the provincial department . The cold room project which less than 500 m3 can be directly apply for local agricultural subsidies . To win support from more friends , Gaoxiang will be dedicated to continuous improvement and innovation for sustainable development in the future . Gaoxiang warmly welcomes all interested domestic and overseas refrigeration producers or dealers to contact it for business negotiations and cooperation opportunities . We are specificialize in assamble and testing refrigeration unit . Also we are charge of design whole set cold room, glass door display show case , If you need any chicken equipment please find us, we have the professional team and will give you the professional design , competitive price and sincere service ! 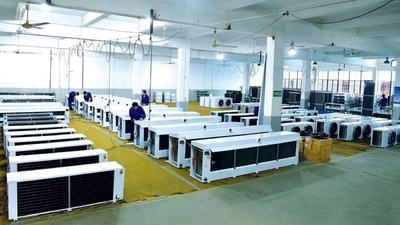 Zhejiang Gaoxiang Industry Trading Co., Ltd established in 1990 , is a comprehensive industrial company specializing in research , development , production and sale of specialized refrigeration products and components . 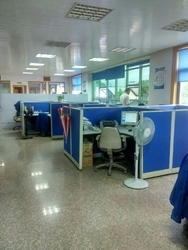 As time goes on , there has many branch factory established one by one . we , Guangzhou Gaoyuxiang Equipment Co., Ltd eastablished in 2016 and in charge of design whole set cold room , glass door display show case . One of the best branch ! We have the most professional engineer team to service you. We will update the production process to you in time. We will do the QC job at least 3 times to keep sure all detail are perfect. We will send the free spare parts together with the containers. We will keep in touch with the forwarder about the exact date the containers will arrived your port. 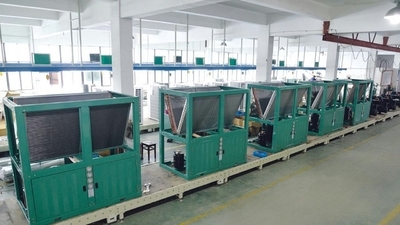 The company has a professional design , production , sales installation team and advanced production technology and complete production equipment , and can make particular design and poduction according to customer requirements . Our products are widely used in hotels , restaurants and other freezing and cold fields .